The world of high end make-up can be tricky to navigate. 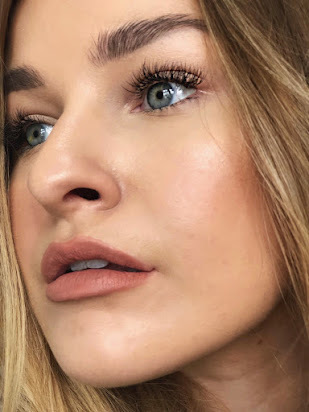 I wanted to share some of my favourite products to contour and strobe with from the high-end spectrum to maybe help someone that is a bit confused by it all or sticks to drugstore on a day to day basis. I do plan on doing a drugstore version too at some point, but I haven't found the right products yet! I've also included some swatches of each product. Right now, I'm NW18 for reference. Zoeva are fast becoming one of my favourite make-up brands. They are a bit of a blogger fave right now and this is likely due to their rose golden collections! I recently bought the Rose Golden Blush Palette along with the new rose gold brush set they have just released and I am seriously impressed. The palette was £13 which is a total steal for three well-sized shades. Personally, I think this is a good contender as a dupe for the Glow Kit by Anastasia Beverly Hills. It's very similar but is more 'contour' based, it does confuse me why it's named a 'blush palette'. I actually prefer this to the Glow Kit as I know I will use all the shades, whereas in the Anastasia quad, you're getting 4 highlighters which are all pretty different and I prefer to know if something will suit my skin or not. Although I like to think of myself as a make-up collected and enthusiast, I will admit that I am definitley a bit of a hoarder. I haven't yet written about my brush favourites, and when it comes to the quality, longevity and affordability of brushes, my favourite brands have to be Zoeva or Real Techniques. 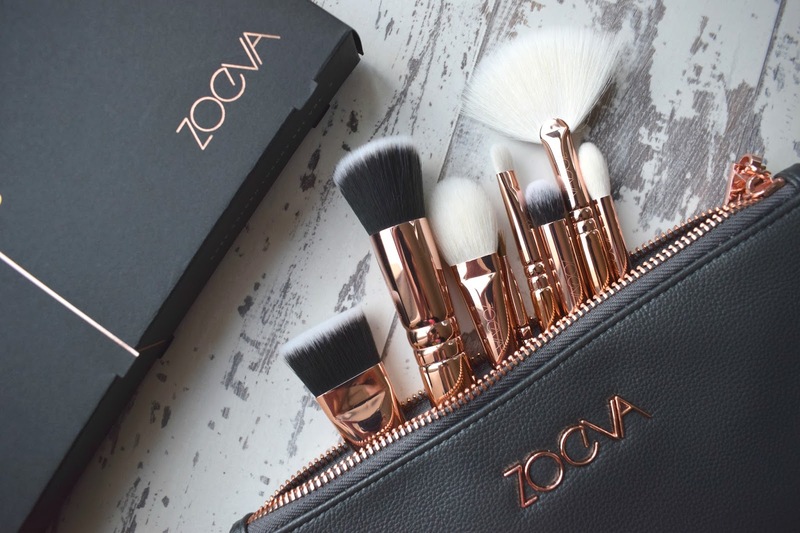 As the huge rose gold packaging trend continues, Zoeva have done a one-up and bought out a new brush set that is completely rose gold. These brushes are absolutely gorgeous and have such a luxury feel about them. The collection just launched on the 29th February and I am expecting great things from these new additions as they're coming from a brand that never fails to impress. The brushes are a limited edition collection and are £75.